These Shooting rankings are issued by: International Shooting Sport Federation. 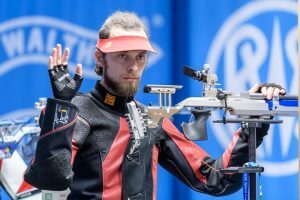 Kamenskiy Sergey retained the top position in the Men’s 10m Air Rifle shooting rankings, followed by Gorsa Petar and Maricic Miran who are now placed at the 2nd and 3rd place respectively. Some of the other significant upgrades were of Hui Zicheng, Kumar Deepak and Sedaghat Mahyar, who are now placed at 4th, 7th and 9th place in the 10m Rifle shooting rankings. 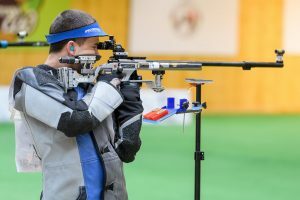 Bartnik Tomasz retained the top position in the Men’s 50m Rifle 3 positions rankings, followed by Gorsa Petar and Yang Haoran who are now placed at the 2nd and 3rd place respectively. Some of the other significant upgrades were of Hui Zicheng, Bubnovich Vitali and Sampson Dane, who are now placed at 7th, 9th and 11th place in the 50m Rifle shooting rankings. 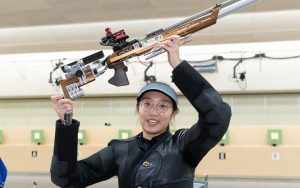 Im Hana retained the top position in the Women’s 10m Air Rifle shooting rankings, followed by Moudgil Anjum and Jung Eunhea who are now placed at the 2nd and 3rd place respectively. 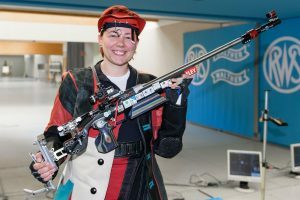 Some of the other significant upgrades were of Zublasing Petra, Mazurova Nikola and Gschwandtner Selina who are now placed at 8th, 13th and 16th place in the 10m Rifle shooting rankings. Karimova Yulia retained the top position in the Women’s 50m Rifle 3 positions shooting rankings, followed by Straub Isabella and Pejcic Snjezana who are now placed at the 2nd and 3rd place respectively. Some of the other significant upgrades were of Wan Xiangyan, Christen Nina and Beer Jolyn who are now placed at 5th, 6th and 9th place in the 50m Rifle shooting rankings. For Pistol Shooting rankings of men & women, go to the next page!